A 27 year old woman was riding her bike south in the bicycle lane on North Damen Avenue in Wicker Park last August when the passenger of a taxi cab flung his door open in front of her. The taxi driver had stopped in the middle of the road, allowing the passenger to open the door into the bike lane. The woman could not avoid the door that suddenly appeared from her left. The crash occurred at around 10:30 a.m. on a clear day. 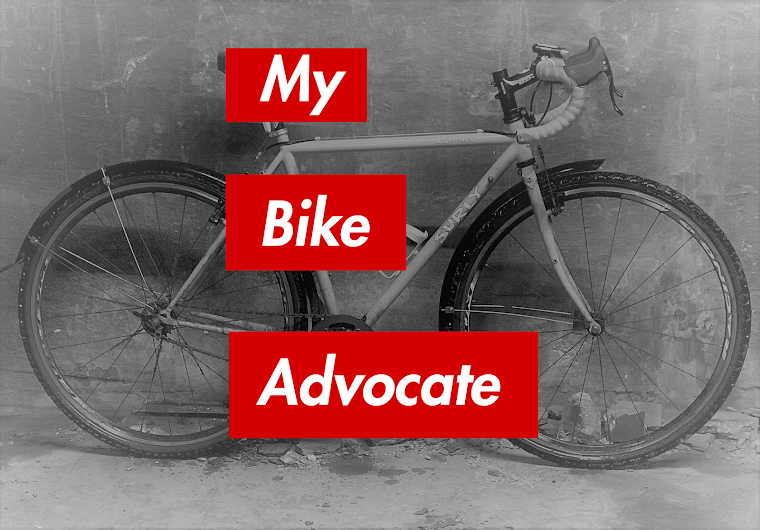 The cyclist hired our law firm to represent her. Doorings, especially those occurring in broad daylight, tend to be pretty straightforward matters. If a driver opens a door into a cyclist's path, that driver is liable for the harm caused. End of story. However, this case was a little unusual. The cab company, and its insurer, claimed that our client never hit the door. In a letter, the insurer wrote to me that the driver and his passengers, "state your client never hit the cab door and she lost control of her bike anticipating that the door was opening." Apparently, it was the insurer's position that the cyclist was just a nervous sort who unreasonably feared taxis, and that her anxiety caused her to just crash on her own. Of course, that was nonsense. The cab company and its insurer had two problems: First, even if the bicyclist did not hit the door, the cab driver caused her crash by allowing his passengers to disembark into a bicycle lane where a cyclist would predictably have to evade the door. In so doing he violated Rule 5.18 of the City of Chicago Public Chauffeurs Rules & Regulations which requires taxi drivers to "discharge passengers curbside." Secondly, the physical evidence strongly supported our client's version of events; that she did hit the door. After the crash she took her bike to an excellent shop, GoodSpeed Cycles in Homewood. There, one of their mechanics took photos of the bike documenting extensive damage to its steel frame. He also wrote a very detailed damage report that stated, "Bike frame head tube has been ovalized due to heavy head on impact. . . Bike appears to have been in a collision while riding." With this helpful assessment and the photos we were able to discredit what the taxi driver and his passengers said about how the crash occurred. The only thing the cyclist could have crashed into was the vehicle door. Today, thanks to the good work by GoodSpeed Cycles, we settled our client's case for a substantial sum. I'm happy that we can expect more from Richmond cab drivers. This sounds like a mess all around. Your post is very interesting, I like it, we are providing cab leasing services in Chicago.